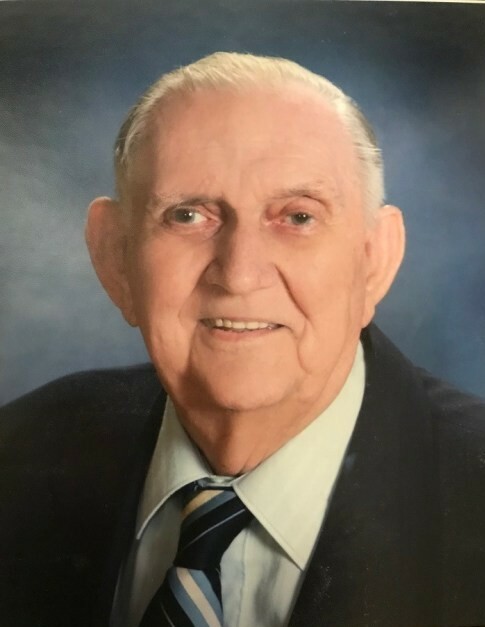 Richard A. Frieh, age 91 years, passed away peacefully on Thursday, April 11, 2019, at Presence St. Joseph Medical Center with his loving family by his side. Born in Joliet and a life-long area resident. A Machinist at Caterpillar Tractor Company, he retired after 30 years. A proud veteran of the U.S. Army serving as a Corporal during the Korean War. He was an active member of Cathedral of St. Raymond Nonnatus Church. Survived by his loving wife of 63 years, Charlotte T. (nee Scheetz) Frieh; three children, Richard J. (Tish Bennett) Frieh, Robert (Teri Townsend) Frieh and Jeanne (Tony) Butler; 5 grandchildren, David Bennett; Terrence, Kristi and Katie Townsend; Matthew Butler; one brother, Hank Frieh; 2 great grandchildren and numerous nieces and nephews. Preceded in death by his parents Albert & Helen (nee Binka); raised by Special Aunt Clara Kennedy (nee Binka), brothers Leonard, Roger and Charles. Visitation will be Tuesday, April 16 from 4:00PM until 8:00PM at Blackburn-Giegerich-Sonntag Funeral Home (1500 Black Road, Joliet, IL). Funeral services for Richard will be Wednesday, April 17 at 9:30AM at the Blackburn-Giegerich-Sonntag Funeral Home to the Cathedral of St. Raymond Nonnatus for Mass of Christian Burial at 10:00am. Richard will be laid to rest at Woodlawn Memorial Park (23060 W Jefferson Street, Joliet, IL). In lieu of flowers, memorials to Joliet Area Community Hospice (250 Water Stone Cir, Joliet, IL 60431) or masses in Richard's name at Cathedral of St. Raymond Nonnatus would be appreciated.